Bill Barhydt talks fast, often in big, sweeping terms that pass with the frequency of mile markers. “We are basically preparing Abra to go global as quickly as possible,” he says in interview. 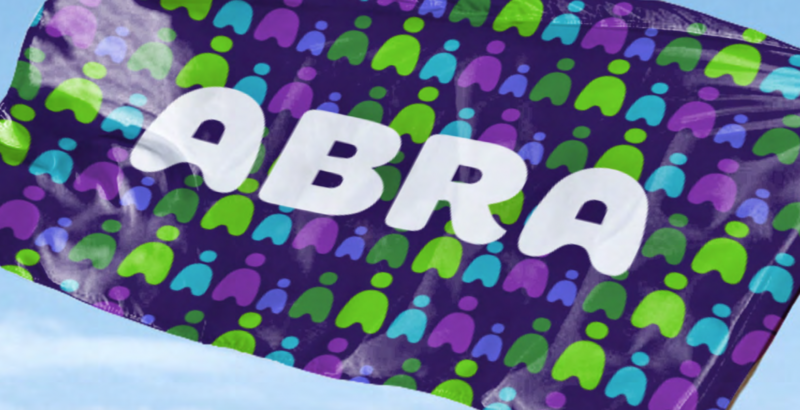 On the phone with CoinDesk, Barhydt even sounds as if he’s flying through space and time, the wind rushing around him audibly as we kick off a conversation about Abra, the peer-to-peer “digital cash” startup for which he has served as CEO since 2014. While Barhydt exudes velocity, the language he employs seem a far cry from his startups muted public presence. While the company has raised $14m in two funding rounds, its blog has been updated just a few times since last September, and announcements have been few and far between. Today, Abra is live in only one market. To Barhydt, this is the calm before the storm. Barhydt is just as quick in describing the process of Abra’s forthcoming expansion, even with all its complexities. Somehow he reduces balancing acts like signing up global merchants to bootstrap a global cash app, enlisting money services businesses in this network and navigating local regulations into a fairly short series of sentences. All of this comes even while he refers to Abra as a company that could create the first “viable consumer experience” with blockchain technology – one that, at scale, aims to provide users around the world with abilities never before offered by payments firms. Last-mile concerns? Liquidity management? Barhydt believes Abra can put these challenges in the rearview. Materials provided to CoinDesk back up this ambitious scope, indicating that Abra told investors it plans to launch in Australia, Asia, Europe, the Middle East and throughout the Americas, a total of more than 20 countries, by November 2017. But if this all seems a little fast, Barhydt believes it’s anything but. He stresses that Abra is already the product of two years of work. But what’s going on with Abra in the Philippines? That seems hard to say. Abra’s Google Play app has 70 or so reviews, and while it has a four-star overall rating, some of the higher ones are from users on the waitlist for the app. The more negative ones point out an issue Barhydt seems eager to address, the current inability for users to send value abroad. But, he says, the app works the same in the Philippines as it will at scale, and that the experience has been valuable for the young company. “Our goal has been to leverage tests to make sure that everything is able to scale well once it’s working in dozens of countries,” Barhydt said. 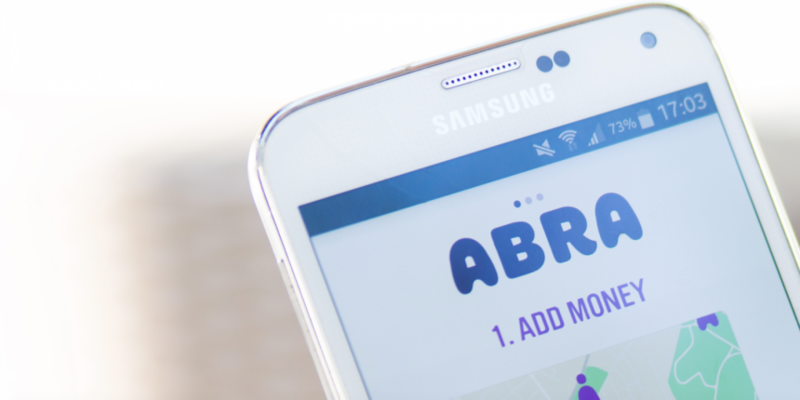 He expects the Philippines to become a “major corridor” for Abra, the term evoking a remittance company, though Abra prefers to refer to itself as a peer-to-peer network. Today, Barhydt said, the Abra network allows users to cash out digital currency to any bank account in the country, while four banks enable buying. The Bank of the Philippine Islands (BPI), Metrobank and UnionBank of the Philippines are three that allow Abra users to convert fiat funds to digital cash. As for whether Abra has direct relationships with these banks, Barhydt suggested that engagement with financial institutions might not be a core part of his strategy. But, banks are just one piece of the puzzle. Merchants, Barhydt acknowledges, are as “key” to the company’s future as they are to modern-day cash networks. “We believe that Abra’s ability to do cross-border commerce, person-to-person or person-to-merchant, is a big competitive advantage,” he said. In this respect, Barhydt asserts, Abra is also seeking to make both its merchant and consumer wallet applications operate similarly. During a transaction, merchants and consumers can receive funds in any currency using Abra’s smart contract technology. Acquiring merchants could prove challenging, though, given that they are historically picky about their preference of technologies. The chip-card technology EMV, for example, took years to reach widespread adoption in the US, and still sees complaints from merchants and consumers who have had their decades-long point-of-sale experiences disrupted. But Barhydt sees the biggest potential impact for Abra in online commerce, where he says users will be able to type their phone number into a web page, receive a push notification, and then send the funds to the merchant’s address through the bitcoin blockchain. This, he says, will be beneficial for high-risk transactions. How all this works is complex, though. For instance, Abra needs consumers and merchants to buy and hold digital currency, and for tellers to see a market in providing this service to these two parties as a business opportunity. Master tellers, in turn, need to join the network to provide compliance and oversight to tellers, and to interact with exchanges to turn funds into fiat money. Exchanges would then hold bank accounts on behalf of the tellers, merchants and master tellers. For all the intricacies, the front-end user experience aims for a minimalistic simplicity. “From a merchant’s perspective, these are cash transactions that settle in near-real time in local currency, that have no chargeback risk and no foreign exchange risk,” he continued. As with fellow payments industry startup Circle, user experience is key, as Barhydt believes consumers are unlikely to adopt a new technology like digital currency outright, instead preferring to keep funds in government-backed money. “We understand why it’s cool, but we think that’s the wrong perspective,” he said. It’s this part of the company’s strategy that many observers in the space have questioned its ability to execute. Yet Barhydt asserts that the company has figured out the solution. “Think of the currency a consumer or merchant is holding with Abra as a synthetic fiat currency that is effectively a hedged digital currency. It’s hedged bitcoin, but that’s extremely difficult to do correctly. From my knowledge, we’re the first to figure it out,” he said. Documents reveal Abra’s system works by borrowing bitcoin from mining pools, which is then sold on an exchange, creating a short position that it says provides liquidity for Abra. Covering the short, the company says, doesn’t generate liquidity risk, as Abra tellers will eventually need to sell bitcoin. The company has indicated that US dollar shorts could even become one of the ways that, long term, help make the company profitable. How much of this process is being disclosed to users is unclear, though Barhydt indicates that users don’t need to understand how their value is managed, just as they don’t need to understand how text messages are routed around the globe. “Once Abra is live everywhere, we have the first p2p payment app that will work across any two phone numbers. There’s no other app on the planet that does that. It’s WhatsApp for payments,” he said. From there, Barhydt said, Abra has an opportunity few of its competitors do: the possibility that its product could go viral. But, how long this will take is a matter that only time will tell. It’s fitting then the conversation with Barhydt seems to hit a pause. The wind sounds are suddenly gone and it’s silent around him. It appears for now, Barhydt has reached at least one destination. As for when he will be able to say the same for Abra, that’s less certain. Disclaimer: CoinDesk is a subsidiary of Digital Currency Group, which has an ownership stake in Abra.